At Enviro Chill Ltd, we believe that you should have the ability to feel comfortable in your own home, especially in the long, hot summers and cold winters. Our professional team are experienced in providing efficient and affordable air conditioning systems throughout the UK and based in Liverpool. Using your exact specifications, we’ll install an efficient and effective air conditioning system, allowing you complete control over the temperature of your home and ensuring you’re comfortable at all times. For over 10 years, we’ve been building our professional relationships on high levels of service and reliability. Our air conditioning engineers will discuss with you your needs and wants from your air conditioning system to ensure we supply the most suitable unit before efficiently installing it, so you can avoid the unnecessary disruption of your daily life. 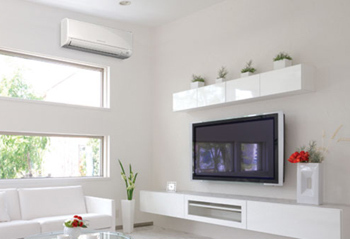 With our domestic air conditioning units being both modern and efficient, we can easily blend it into the decor of your home, perfect if you want a discreet finish without compromising on style. Please feel free to call us on 0151 2851818 or contact us online to discuss your requirements and what Enviro Chill Ltd can do for your home.